Liven up any outfit with these silver striped cufflinks. They're a deep black color thanks to carefully placed enamel, but they gleam in sunlight enough to stand out. 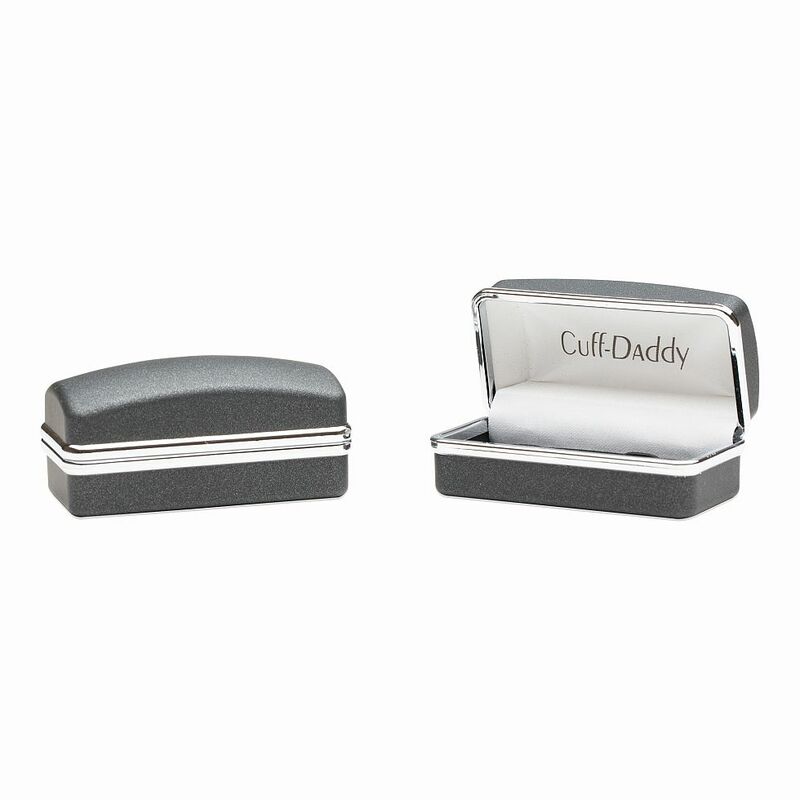 These cufflinks are intricate and they'll really enhance that look you're trying to build up. Slap them on for your next office meeting, or put them on for that formal party. They have an upscale look and a high level of craftsmanship that will make you proud. 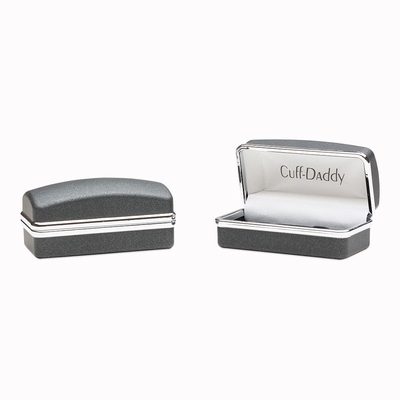 Give them as a nice quality gift, or add them to your box of cufflinks and pull them out for just the right occasion, which will happen more than you think. 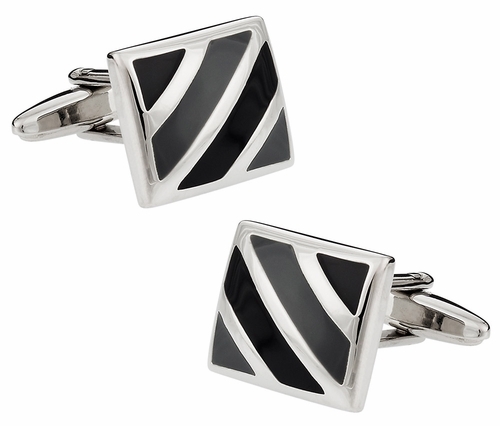 These cufflinks are square shaped, black and silver colored with a diagonal striped pattern making them visually very appealing and interesting.